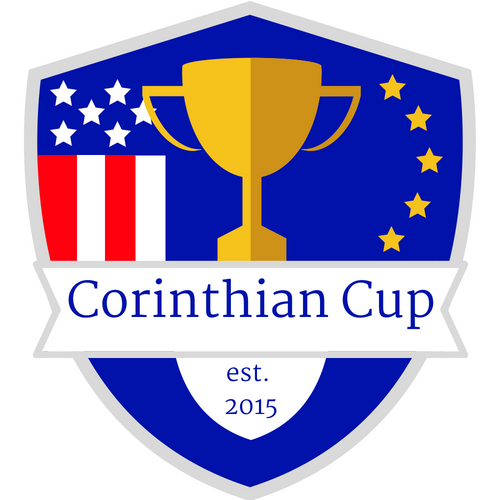 Join together with men from Trinity as well as other churches and enjoy a time of Golf, Good Friends and God at the 4th Annual Corinthian Cup! This 3 day golf trip is fueled by manly competition, balanced out by handicaps and laughter fills in the rest. For this golf trip we will divide teams evenly based on number of players and establish handicaps to even things out. We then play 4 competition rounds as teams (USA vs Euro) in a Ryder Cup formatted competition. Each day is planned out below, all times & formats may be changed dependent on weather and number of players. You don't need to be the best, handicaps even it out, just need stamina as we play 36 holes Monday, 36 holes Tuesday and 18 Wednesday. The competition is formatted to lighten the load of swings! Just be prepared to have a great time! Cost of the trip is $350 which includes hotel room (double occupancy), hot breakfast at hotel each morning, Chicken/Fish/Steak dinner (Does NOT include beverage or gratuity) every evening at Bucks Run Golf Club, ALL golf and carts & personal gift. Hotel - Comfort Inn of Mount Pleasant - Hot Breakfast bar, microwave & refrigerator in rooms, free wifi & indoor pool. Course 10 Miles from hotel. *Only additional cost would be personal snacks, lunch on course if desired and chip in for gas money to driver you carpool with. District Men's Retreat - "Fight Like A Man"